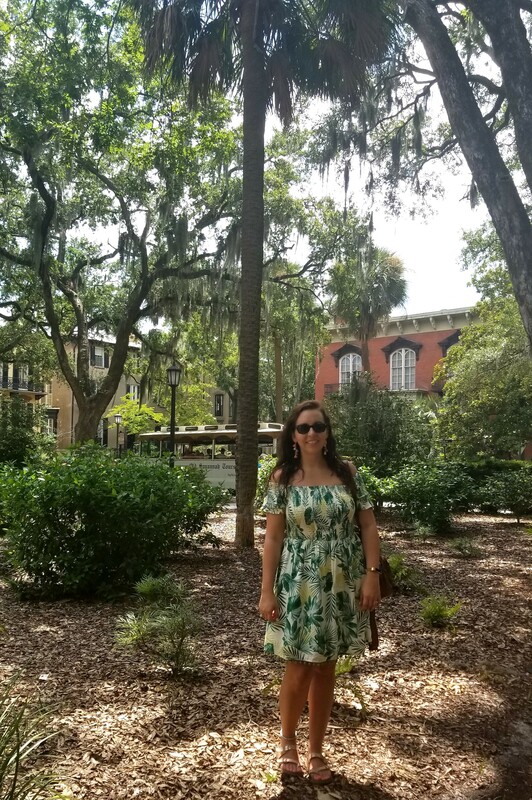 Savannah: A classic, colonial town filled with canopies of branches that shade its city squares while they drip haunting Spanish moss from their branches. 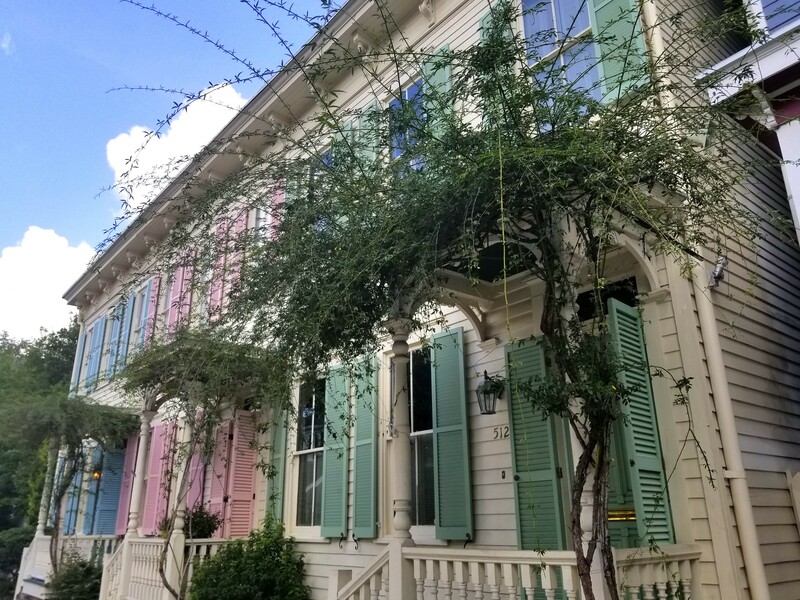 Its historic district is renowned for its photogenic beauty. Once you walk around for a bit in that humid, salty air you can’t help but want to take things slow. Walk with purpose, and admire its incredible grand homes and architecture. 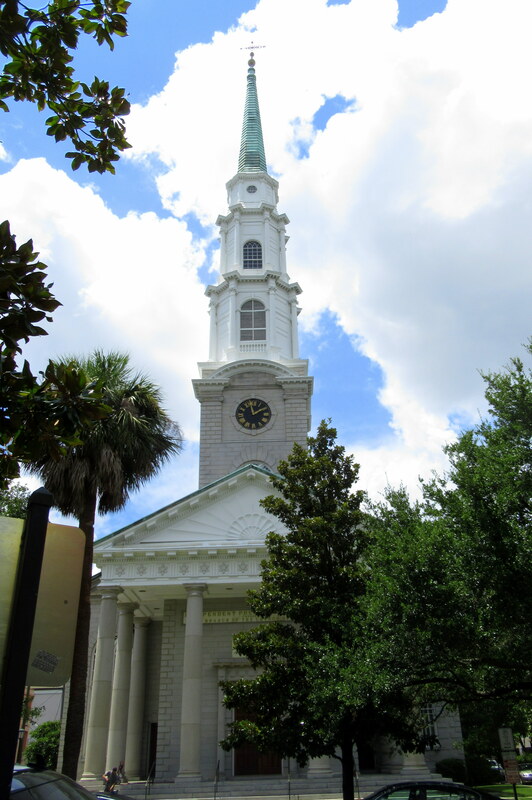 Savannah dates back to 1733, a very old town by United States standards! 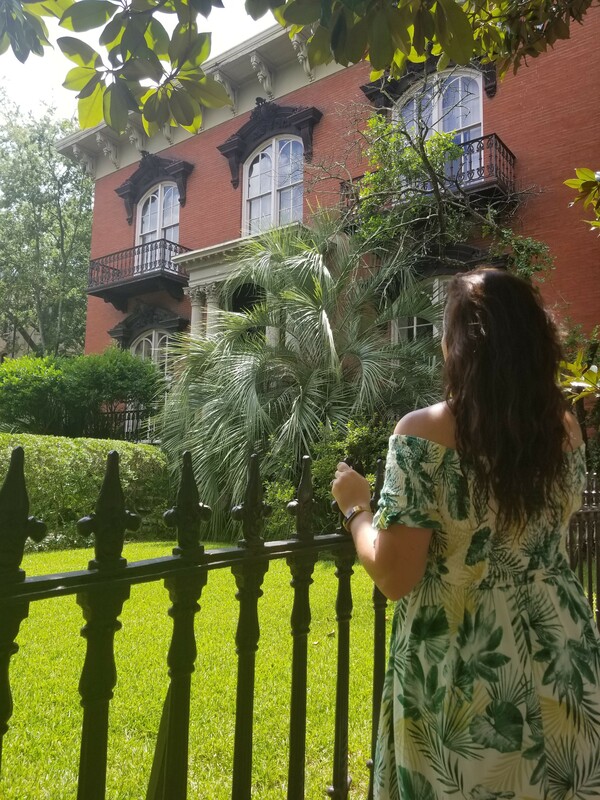 There are multiple ways to learn its history: Guided walking tours, trolley tours, or even a carriage tour. We chose the self-guided route with a handy map of notable locations, but beware that intense summer humidity! 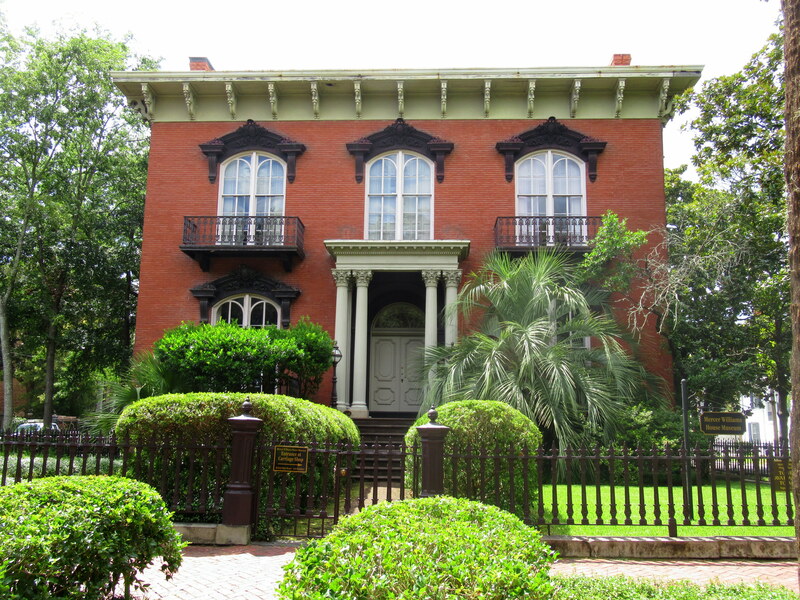 The Mercer Williams House– Famous for being the home of the songwriter and the later living quarters of Jim Williams, known from the book, Midnight in the Garden of Good and Evil. 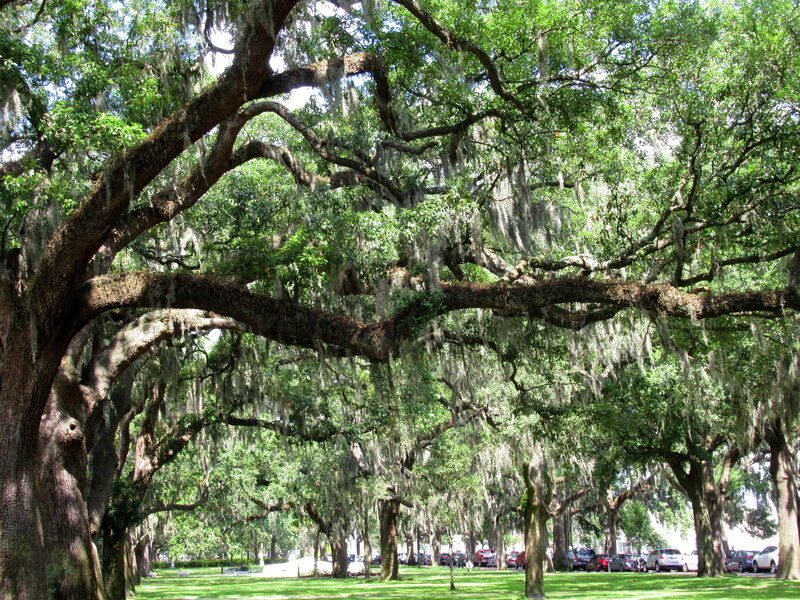 Chippewa Square – A scenic place filled with Spanish moss, but also known as the location of the Forrest Gump bench! 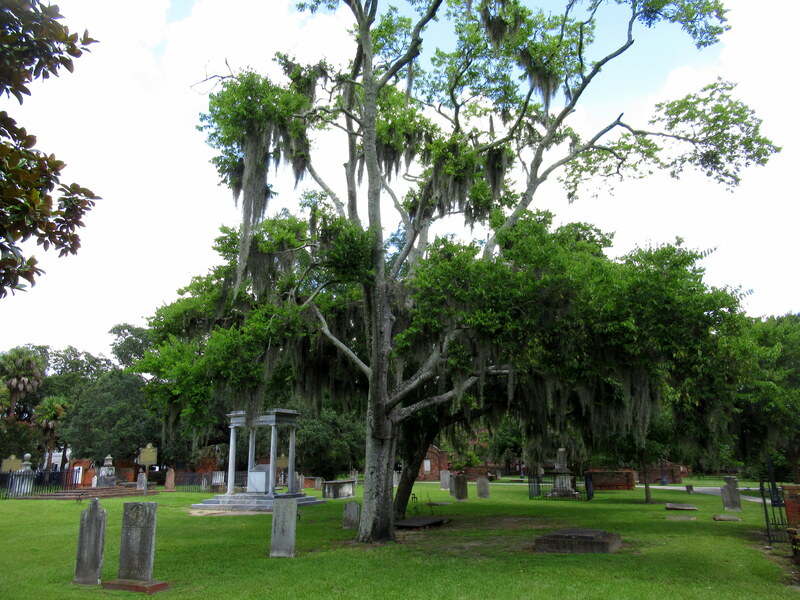 Colonial Park Cemetery– Used from 1733 through 1850, it is now a park and historical point. When Sherman’s troops camped here during the Civil War, the soldiers got bored and decided to alter and move the gravestones around. Some of the dates make no sense now- check a guidebook for the most quirky! 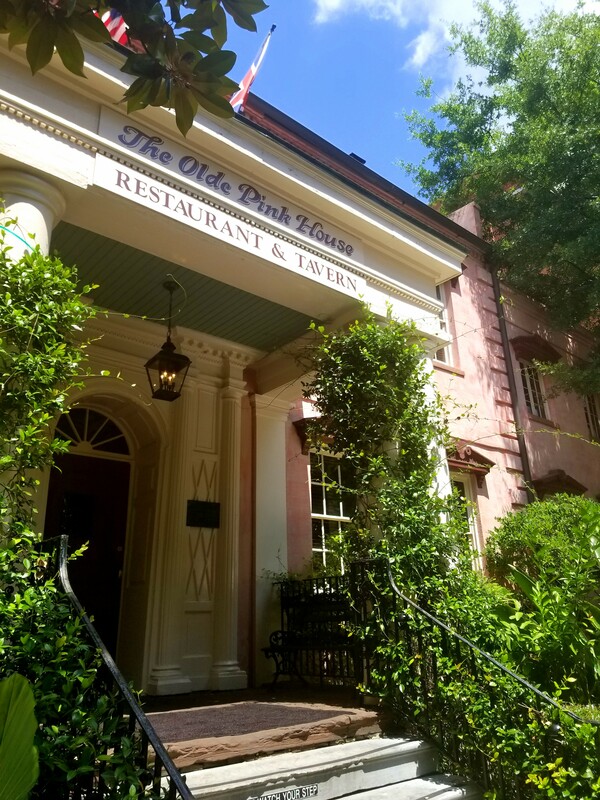 The Olde Pink House Restaurant– Since it survived a massive city fire in 1796, it became the only remaining 18th century mansion in the city. Now, it’s a locally famous restaurant and tavern! 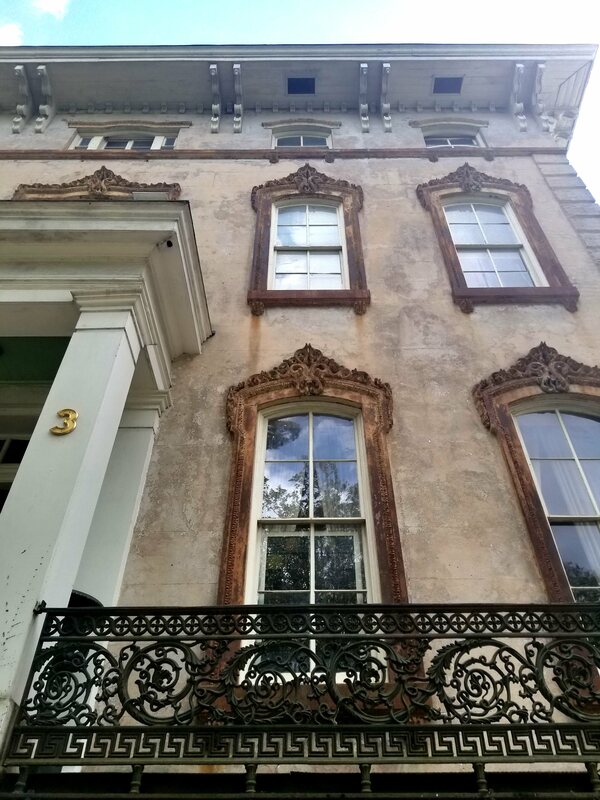 Harper Fowlkes House – An 1842 Greek-revival mansion open to the public. The Old Cotton Exchange Building- Historic site along the river walkway. 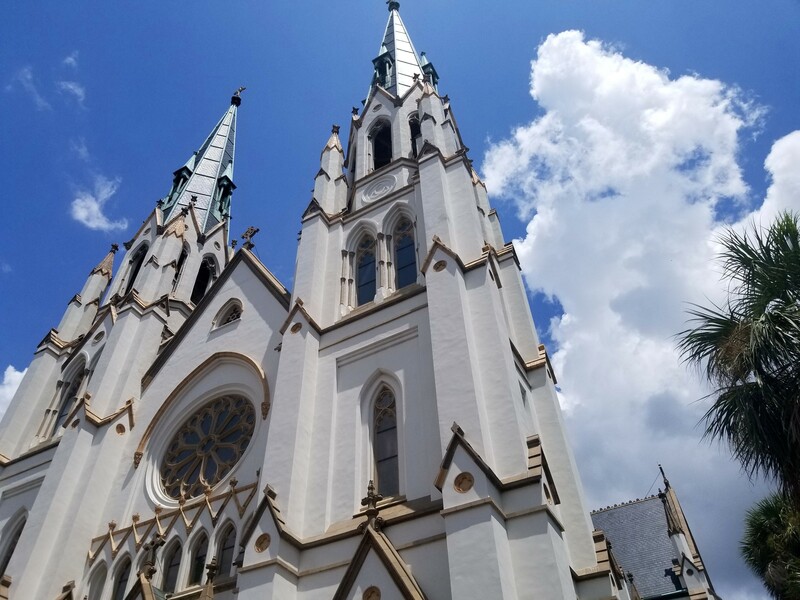 Cathedral of Saint John the Baptist –Free to walk around, this is worth a quick visit! River Street and City Market – Two pedestrian only zones full of shops, art galleries, and restaurants. 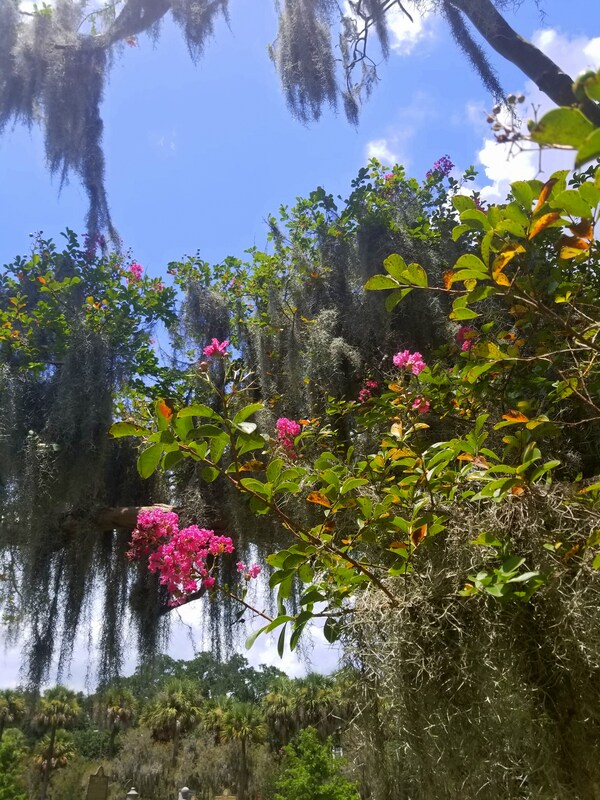 Bonaventure Cemetery – A bit outside the city, you’ll have to drive or take an Uber here. We didn’t have time to see it, but wish we had! Click here for a list of other great day trips and tours if you have more time! 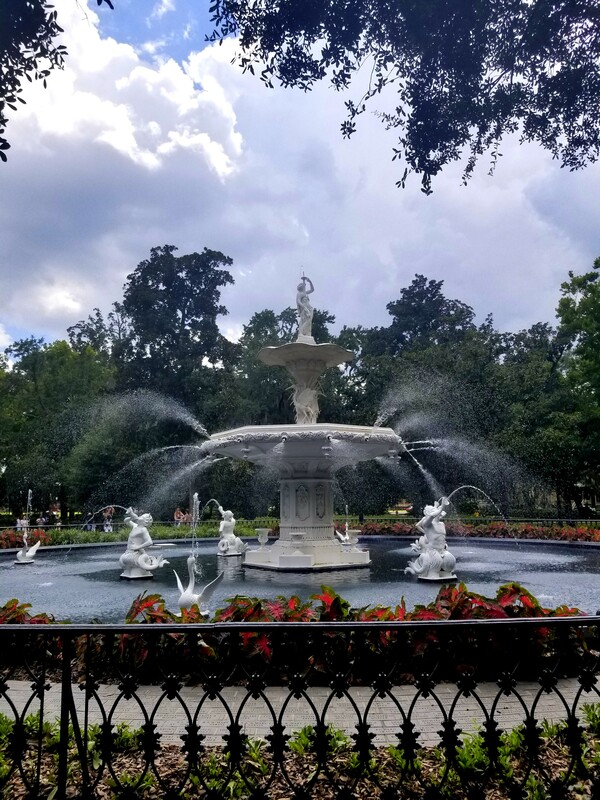 How we did it- My parents and I started out on River Street, and wound our way up to a variety of the historic squares and statues. 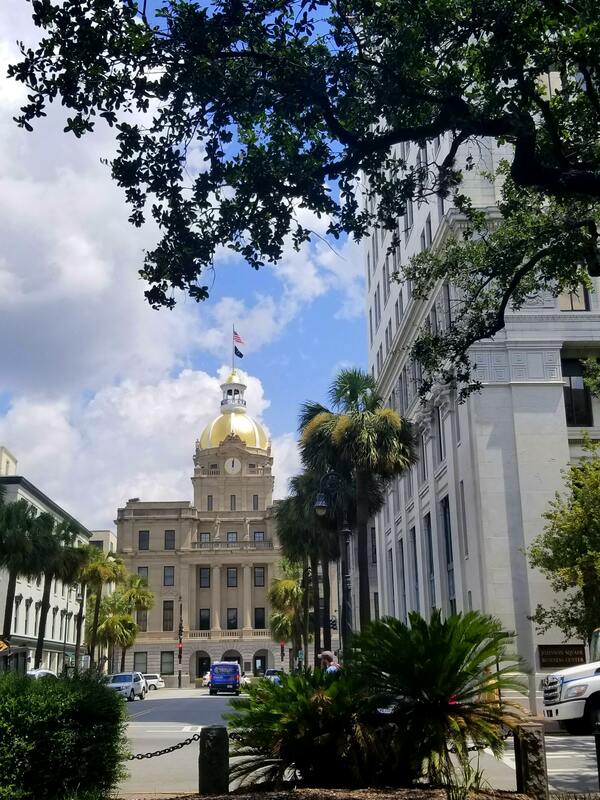 The nearby Bay Street will give you a view of Savannah’s golden city hall dome too. Next, we had lunch in the lively shop-filled, pedestrian only zone of City Market. From there, we explored the Colonial Park Cemetery and a beautiful block of houses near (my favorite) Oglethorpe Square. 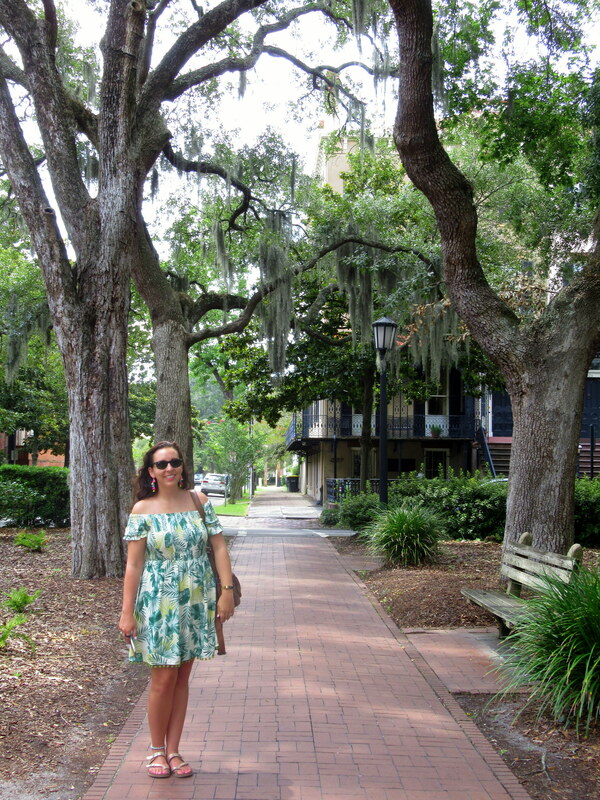 We also found Savannah’s own “Rainbow Row” (although compared to Charleston’s, it was a bit lacking!). For dinner we tried out Moon River Brewery. 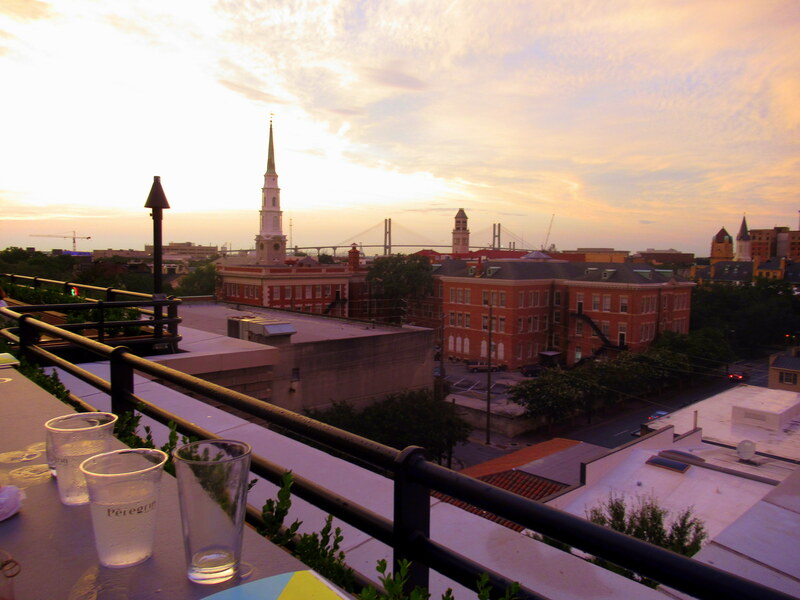 Then, we headed over to Perry Lane Hotel for some drinks on their swanky rooftop bar (definitely recommend!). We finished our night with a ghost tour by Ghost City Tours. 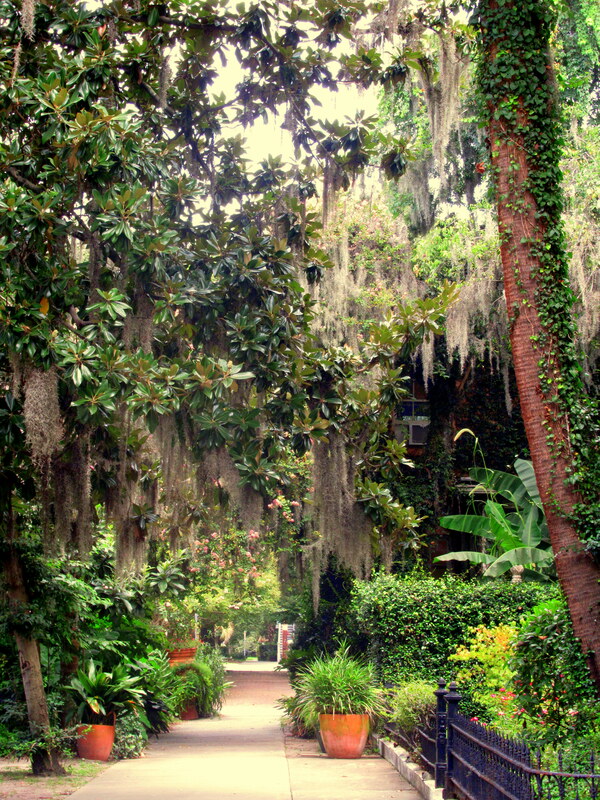 If you’re into the paranormal, Savannah is “one of the most haunted cities in America”. Thinking about its Native American past, coupled with colonization and Civil War tales, it makes sense there are many spooky stories waiting to be told! My mom and I did the family friendly “Grave Tales Tour” beginning at dusk. We heard a lot of unique stories while getting to see several notable homes and squares. I’m a big fan of ghost tours, I always think they’re equal parts fun and fascinating (not as much creepy)! If you want something a bit more frightening though, they also offer an adults only “Dead of Night” and “Beyond Good and Evil” tour. 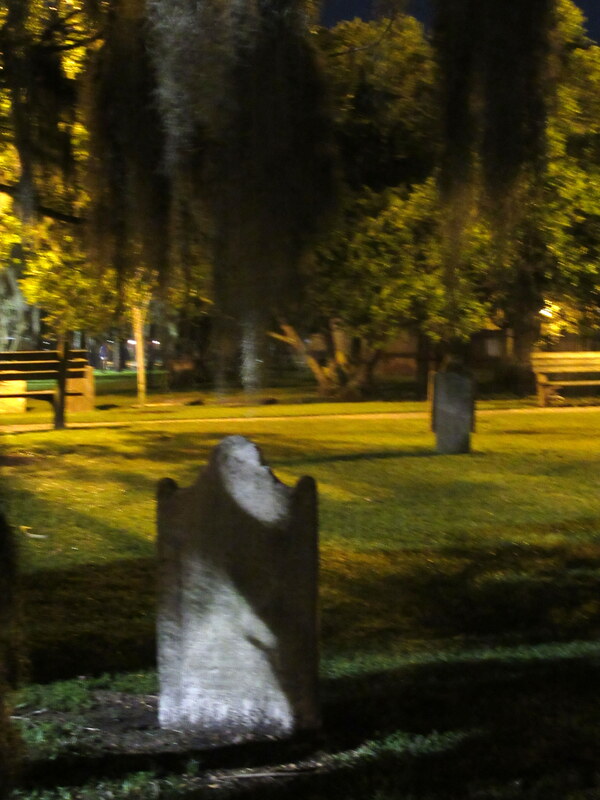 Either way, you really shouldn’t skip out on a ghost tour in a city as haunted as Savannah! 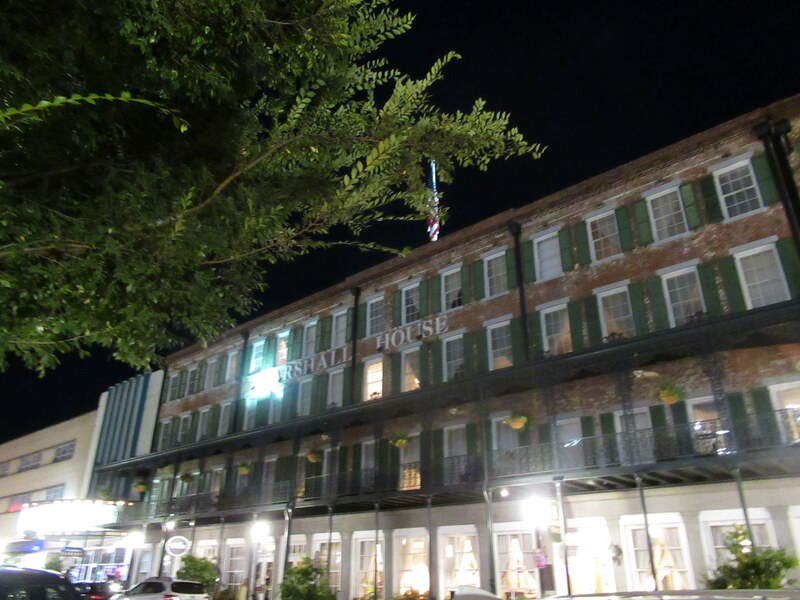 Marshall House Hotel- Very haunted! As always, all reviews and opinions are my own. However, this post may contain affiliate links. This means I may receive a small commission should you choose to book any of the hotels listed above. I also received a complimentary tour from Ghost City Tours in exchange for an honest review on this post.